Big, fat wallets are a thing of the past. Or at least that’s what Coin is hoping. 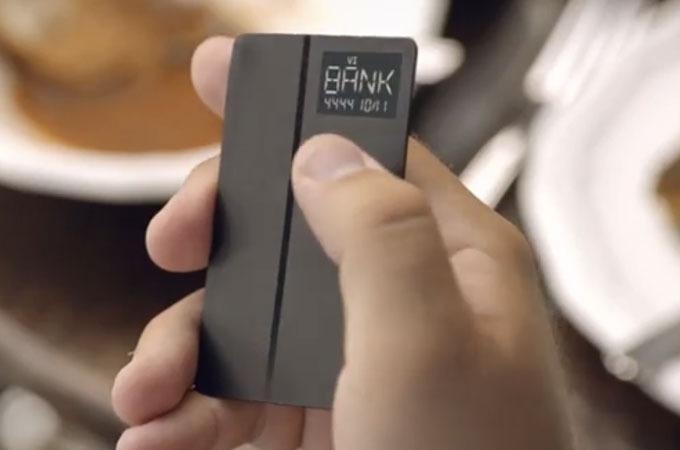 The device, about the size of a typical credit card, holds up to eight debit, credit, gift, membership, and loyalty cards and allows you to switch between them with the click of a button. Card information is scanned into Coin through a smartphone by using a Square-like appendage; the device is then connected to the user’s phone and will notify the user if it appears that they’ve left their Coin behind.